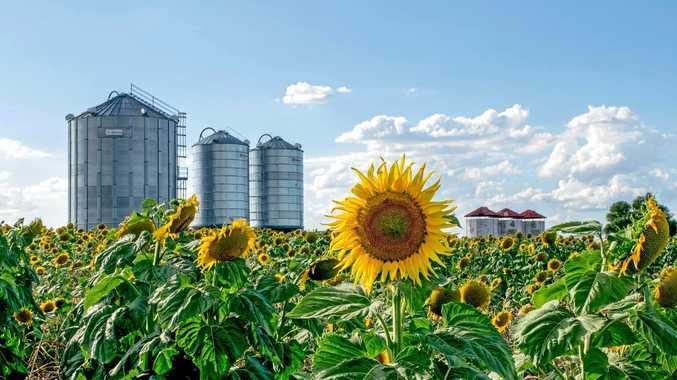 SUNFLOWERS could hold the secret to success in 2019 as frustrated tourism operators look for fresh inspiration and a new approach in the midst of a reported tourism downturn. Apples and grapes are signatures of the Southern Downs, but social media analytics have revealed new opportunities for farming likes and shares on social media with the region's "eccentric" attractions to take centre stage. 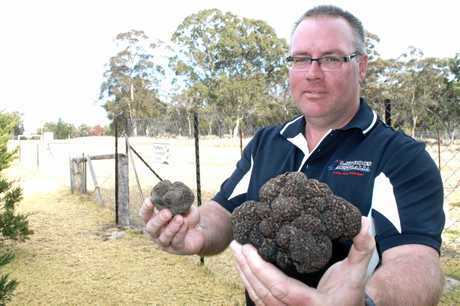 Truffle Discovery Centre owner Matthew Hibberd said he was blown away by the number of people planning day trips to the region after he posted a Facebook photo of the first sunflower crop in bloom near Allora last week. "It was incredible. It's one of those niche things that really draw people out here," Mr Hibberd said. 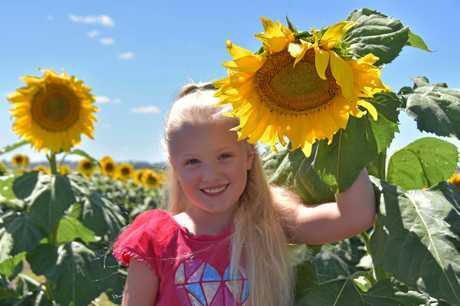 Do you think sunflowers could be a tourism draw-card for the Southern Downs? The announcement was shared by Alure's Marion Carrick, who said it was the top-performing social media post of 2018 for the luxury accommodation business. 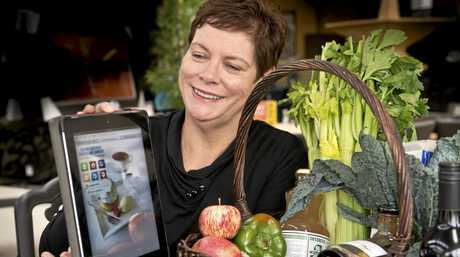 Its success has sparked fresh calls to promote the "quirky" aspects of the region. "We have a lot of weird things throughout the region that other areas can't boast," he said. Sunflowers, fireflies and truffles were some of the unique attractions Mr Hibberd said could become hallmarks of the region and trend well on social media. "We have a lot of jewels in the crown and I think it is under-marketed." Ms Carrick agreed, saying she believed a tourism downturn over the past two years was not a result of the drought. "We're actually dealing with the ramifications of a number of years of inaction and ineffective marketing. I personally believe it has nothing to do with the drought," she said. "People actually prefer to travel in sunny weather." They have both called for a more coordinated and cohesive marketing approach from tourism bodies. "I don't see a return on the current efforts of the council, Granite Belt Wine Tourism and Southern Queensland Country Tourism," Mr Hibberd said. "There doesn't seem to be a concerted or coordinated approach where there is the same messaging, hashtags and media imagery. "I am genuinely concerned for this region and I think something needs to happen." Mr Hibberd said the social media success of sunflowers had flow-on benefits for other businesses. 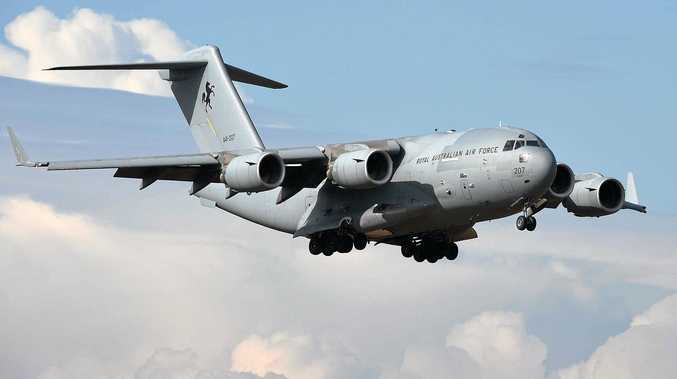 "Those people will come and buy a tank of fuel, they buy groceries, they might even plan to come back for another holiday, they share their photos with their friends," he said. Southern Queensland Country Tourism CEO Mary-Clare Power agreed that novelty attractions proved highly successful on sites like Facebook and Instagram, but said many were seasonal and short-lived. "We do a lot of work ... to give businesses the skills to be out there on the spot, taking beautiful photos, tagging them and sharing them," she said. "We go through this process with industry and there are some very good operators in the Southern Downs playing in this space. "But it is senseless being a one-trick pony ... you need the wineries and the national parks and the breweries. It's all part of the whole jigsaw," she said. Southern Downs mayor Tracy Dobie said the council's tourism development team worked hard to engage with operators and encouraged businesses to come forward with new ideas. "It is up to the tourism and hospitality businesses to start marketing themselves online as well," she said. Other Southern Downs operators have praised the work of tourism bodies. 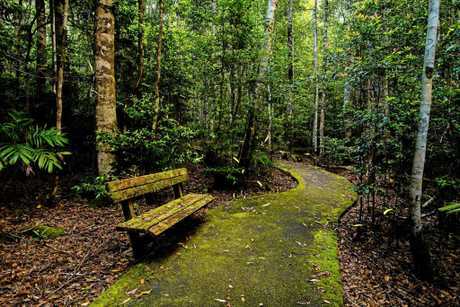 "I am happy with the way the region is marketed, I think the governing bodies are doing a good job," Queen Mary Falls Caravan Park and Cafe co-owner Louise Reed said. "I don't know if you could market the fireflies any more than they are because they are such a fragile ecosystem." "From a business point of view the more people in the area the better, but the fireflies are already pretty much at capacity." Ms Carrick agreed there needed to be a cautious approach. "Some visitors are a bit too enthusiastic and go into the paddocks and damage the (sunflower) crops, which affects the farmer's livelihood," Ms Carrick said. "I can understand the concern but there is also immense scope for one or more farmers to do sunflower tours and go into agri-tourism and they could actually make more money out of that side of things than selling through the normal avenues."